Relay board is one kind of very popular switch module. You can use it control any devices on or off. 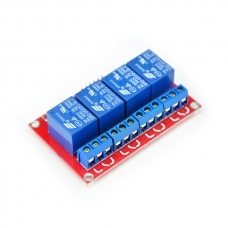 This is a DC12V controlled 4 channel relay module. It's high level trigger. Trigger current need not less than 5mA, It can be used in many industry system that using DC12V power supply.